The ultimate harmony of cuteness and valiance! 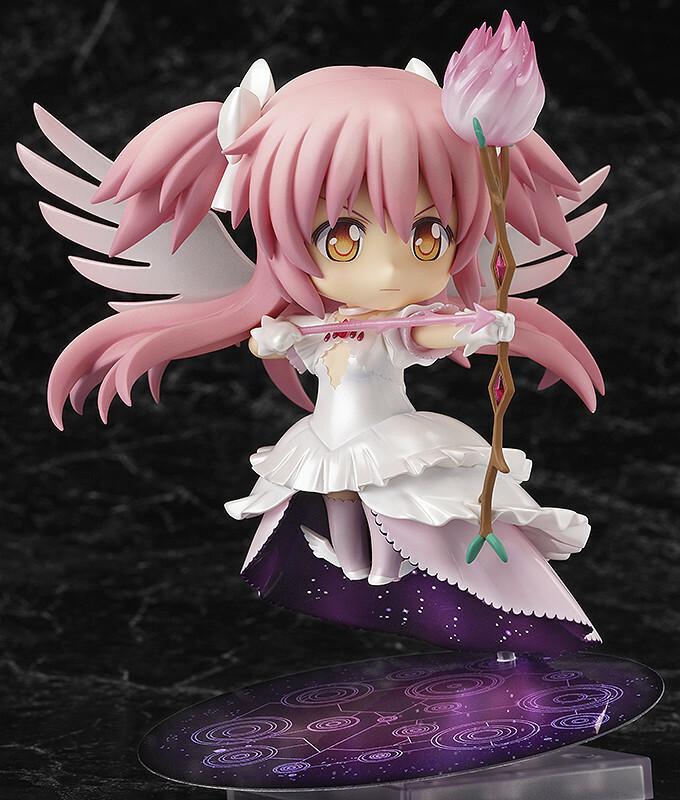 From the anime 'Puella Magi Madoka Magica' comes a Nendoroid of the ultimate form that Madoka Kaname took after fighting numerous battles over countless timelines - Ultimate Madoka! 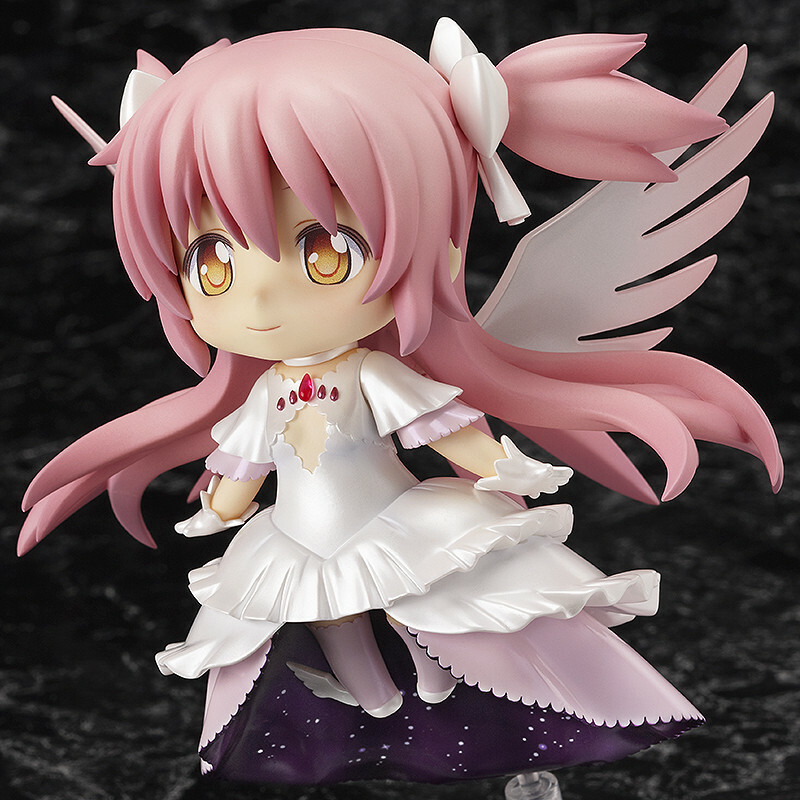 She comes with both a standard smiling expression as well as a determined expression to show everyone there is always hope! Her bow and arrow are also included, along with the magical symbols that appeared at her feet whenever she fired an arrow, which allows you to recreate the famous pose with her bow drawn and ready to fire! 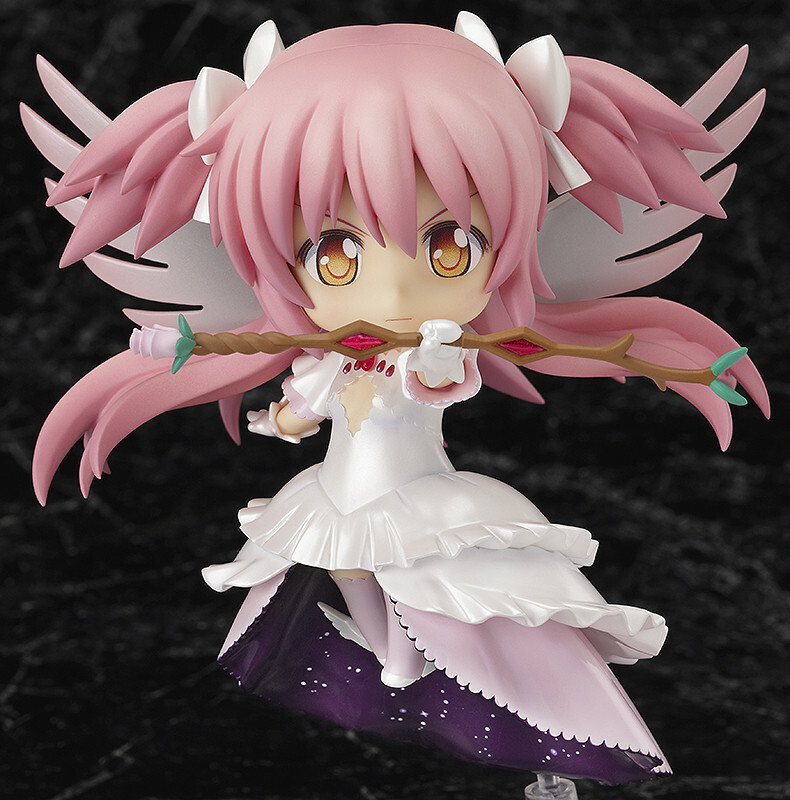 Nendoroid Ultimate Madoka Preorder Campaign! 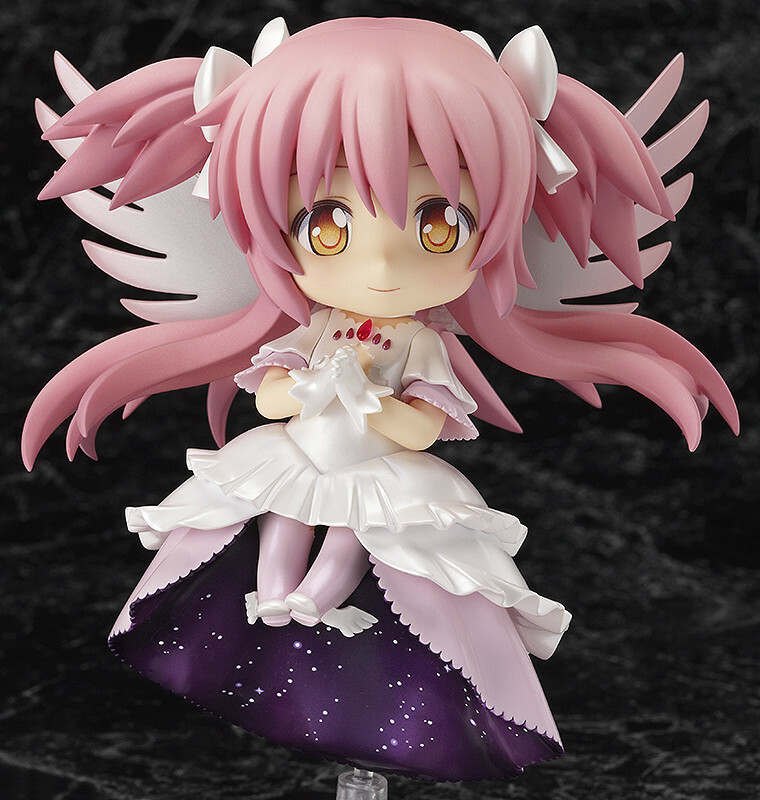 If you preorder Nendoroid Ultimate Madoka at the GOOD SMILE ONLINE SHOP or the Good Smile & Karaoke no Testsujin Cafe, your order will include a special Nendoroid More Clip Stand as a preorder bonus! 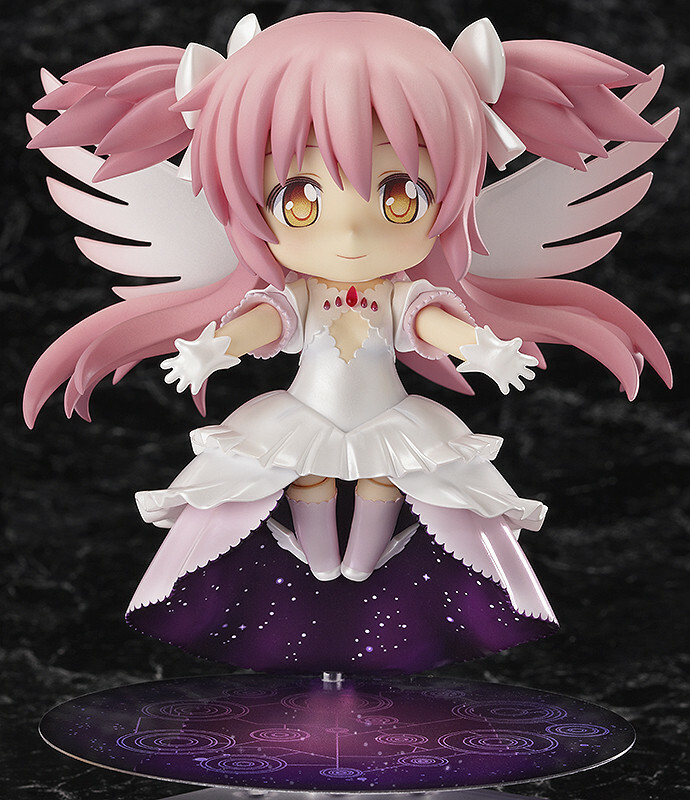 The Clip Stand features a clear pink coloring to match the Nendoroid, and also features the 'Puella Magi Madoka Magica' logo on the clip section of the stand! 14th November 2012 (Wed) at 21:00JST. This product will also be available at our partner shops and other hobby shops. Please contact the respective stores for more information if you wish to order from them.